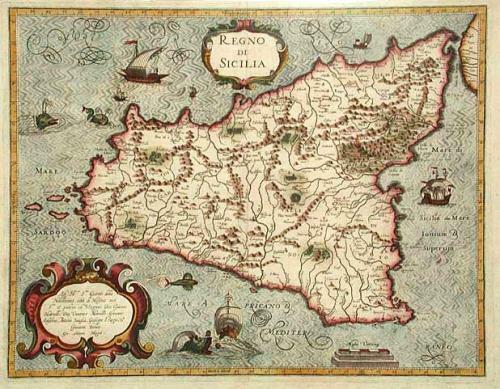 A beautiful and detailed map of Sicily featuring fully engraved seas, sailing ships, sea monsters and flying fish. The map is embellished with elegant calligraphy and two bold cartouches. A dark and early impression that is finely coloured. The top margin has been cut to a shorter length than the other margins but this should present no problem when framing.